The grumpy old troll, played by Louis P and Shayne, entertained the younger children in an imaginative gymnastic interpretation of the story of the Three Billy Goats Gruff. 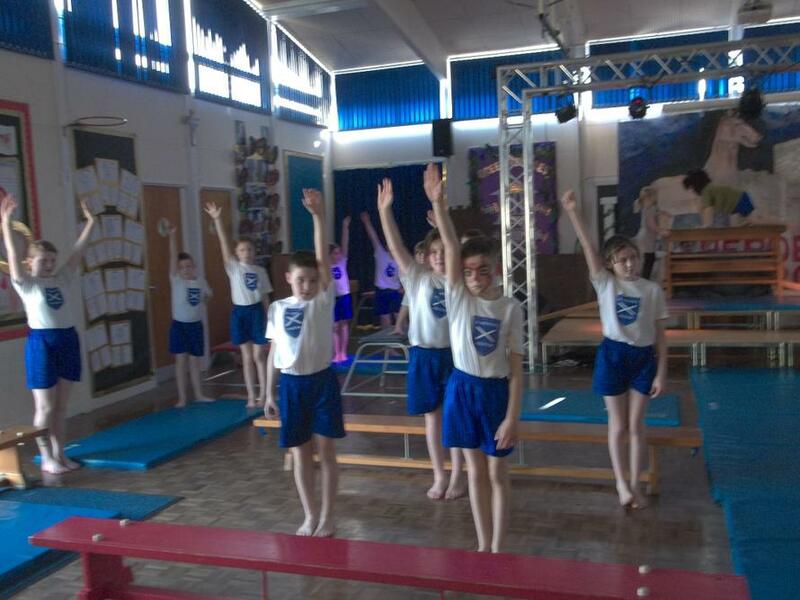 The production was staged by Year 5 children to conclude their unit of work on gymnastic bridges. Emilia’s mum made some wonderful props including beards for Chloe T, the little billy goat, Emilia, the middle-sized billy goat and Louis D, the great big billy goat. Ella, Oliver C and Zack H provided musical accompaniment while Tom M and William were great sound and light production engineers. Unseen, but definitely heard, was Oliver B the fearsome voice of the troll. Other members of the class created an action-packed backdrop to the story by planning sequences of paired gymnastic bridges and performing these to the song of the grumpy old troll. 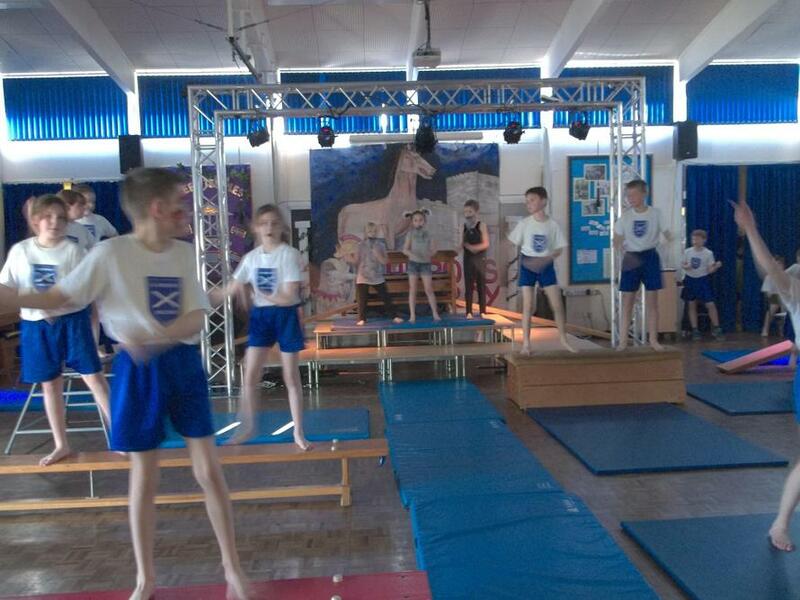 Spectacular cartwheels, bridge kickovers, arab springs, star jumps, handstands and headstands were used by the gymnasts to link their high and low bridges together. Fern and Katy were inspirational and the KS1 children went straight out into the playground after the performance to re-enact the story themselves!